The PN64H5000 has an attractive, but yet plain black bezel which is considered slim for a plasma design. The TV is only 2.2 inches in depth and features a “quad” design type stand that allows the set to swivel . Since the PN64H5000 is considered a budget entry-level model, it does not pack very many features. 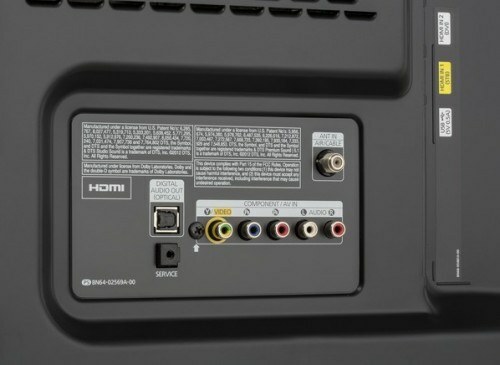 For example, it has no smart TV platform and has no network connection capability. I suggest using Google’s Chromecast streaming media player as an alternative in place of this TV not having any “smart” functions. That way you can still enjoy services like Netflix and Hulu Plus along with many more apps. The H5000 has a feature called Connect-Share Movie that allows you to play movies, pictures and music from an USB device such as a thumb drive, external hard drive or video camera. This set also features what Samsung calls Wide Color Enhancer Plus for a wider color spectrum for your TV picture. This set has an Eco Sensor function that automatically adjust the picture brightness based on your rooms light levels. This is basically an energy saver feature which can have a negative(dimming) effect on picture quality. I suggest you turn it off. It can be defeated from the sets System menu. Sound is provided by two 10-watt down firing -full range speakers. 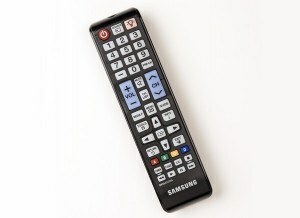 The remote control provided is backlit with an easy to use button lay-out. Currently, plasma HDTVs have been my display technology of choice for viewing high def images. When compared to LED-LCD displays, plasma’s provide a more natural and realistic-looking image in my opinion. And let’s not forget about the superior black levels that plasma HDTVs produce. However, I must mention that there is one 4K LED display I recently reviewed that rivals the performance of plasma in the characteristics I mentioned above – The Sony XBR-65X950B. See review. The PN64H5000 continues the tradition of what a good plasma display should deliver in over-all picture quality. The color reproduction of the H5000 was eye catching, with a rich and vibrant color palette. The image was very smooth and natural looking with-out the hyper-sharp look that LED HDTVs tend to produce. The black levels produced by this set are what I’ve come to expect from a good plasma TV – deep and black with excellent shadow detail. In fact, this display probably delivers the best black levels at this price point. Off angle viewing was excellent on this set, as plasmas do not suffer from this anomaly as LED TVs do. Screen uniformity was perfect with an evenly illuminated display panel. I detected no motion blur which is usually the norm with plasma displays. To get the best image from this TV I suggest you use the Movie picture mode to give you the most accurate picture. Set the color temperature to Warm 1 to give you the best and most balanced color reproduction. Picture brightness was decent but not as bright as top tier plasmas, and should be fine for rooms that aren’t overly bright. One downside of the H5000 is the screen not being anti reflective, so you may want to avoid viewing this display in rooms with bright sunlight. 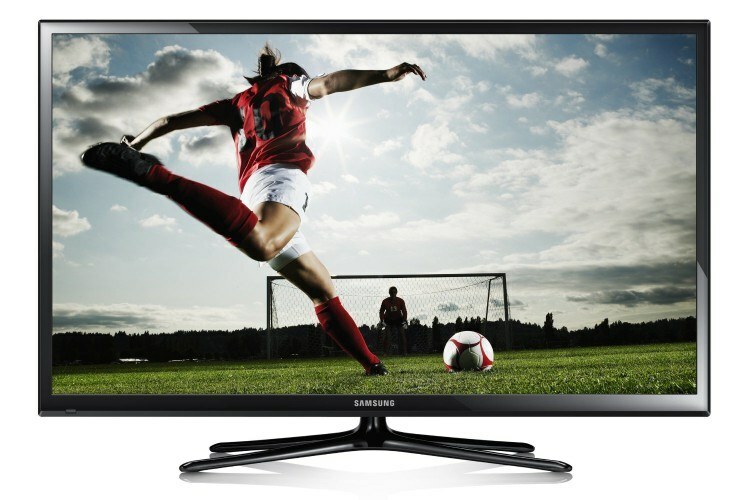 The Samsung PN64H5000 is a very good performing budget priced plasma HDTV that gets all the basics right… delivering great picture quality at an affordable price. Sure, it lacks certain features. But that’s expected in an entry-level model. If you desire more features and even better performance, step-up to Samsung’s (held over 2013 model) flagship PN64F8500 plasma HDTV. Which is considered the best plasma TV still in production. Personally, I really like the H5000. It is a great value considering you get solid performance at a great price. Recommended. Any comments or questions regarding this review are appreciated.